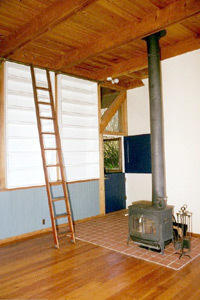 Living room with 12 ft. ceiling and wood stove. 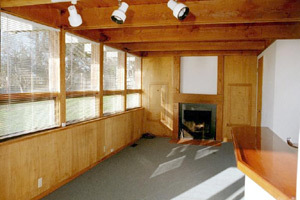 Carpeted family room with fireplace and view. 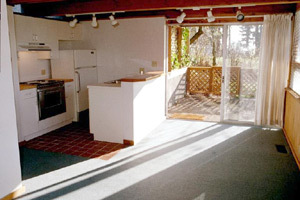 Kitchen and private patio with fenced yard. 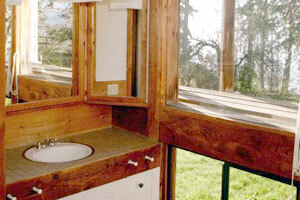 Bathroom with large sunken tiled tub and view. Wall to wall book shelves with sliding mahogany ladder. 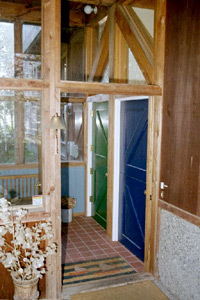 Main entry with Dutch doors. 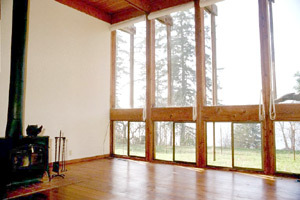 The duplex will be available as of November 1, 2009.